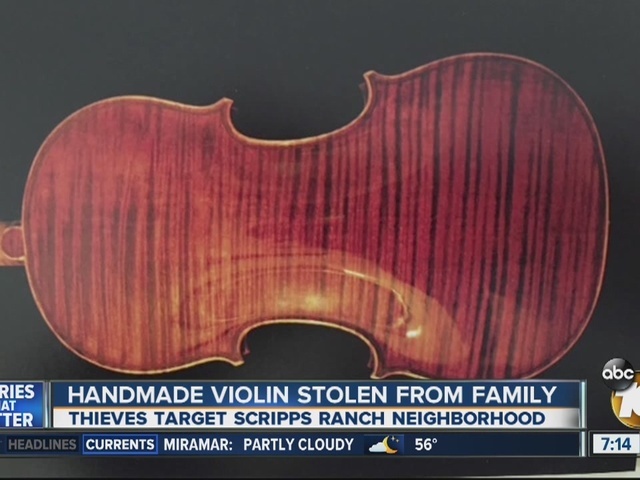 A handmade violin is one of several items stolen in a string of burglaries in a Scripps Ranch neighborhood. Luke has been playing the violin since he was 7 years old. “Every violin’s unique… it’s like a piece of art itself,” Luke said. But earlier this month, someone broke into his home and stole his Italian Matteo Mazzotti violin. 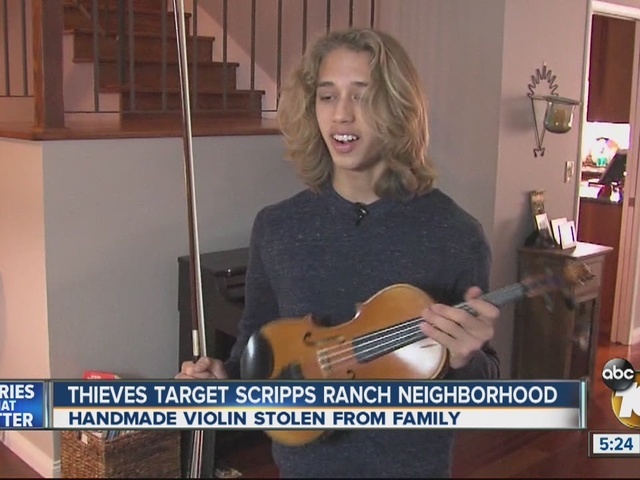 The thieves also took a guitar, computer, and a KitchenAid mixer from their home, but it’s the violin they want back the most. The price tag is about $6,000, but it is worth much more to the family. “When he started playing for two years, it developed and opened up the violin and just became this amazing beautiful sound that we fell in love with and he’s very much attached to,” said Luke’s mother Fey. They declined to use their last name. Fey’s home is one of four homes broken into in recent weeks. The homes were located on Charbono Point, Fortino Point, and Canyon Lake Drive. The thieves entered one home while the family was asleep and stole Christmas presents and money. Police have yet to arrest anyone in these burglaries.